When it comes time to submitting your business school applications, admissions officers will look to your GMAT score to see if you have what it takes to make it at their institution. The GMAT is likely to be a test unlike any other you have faced up until now, and so you will need the very best when it comes to your preparation. But have no fear! My GMAT prep course reviews dive deep into the cream of the crop in the industry and make getting started on your business school journey as easy as choosing the right class for you. Keep reading for a breakdown of what makes each course stand out from the pack. Before getting into the nitty gritty of all seven-course options, here is a quick snapshot of what I have found to be the top three overall choices. Each brings something different to the table, but all of them are worth your while. When it comes to offering students mobile accessibility and digital resources, Magoosh GMAT prep is almost impossible to beat. There are no live lessons, but the study platform is jampacked full of practice questions, customizable quizzes, tests, and flashcards that self-motivated students are sure to love. Princeton Review offers the most computer-adaptive practice exams of any of the others on my list, and the comfort that comes from all those tests go a long way to getting you ready to tackle the GMAT. Add this to Princeton Review’s extensive variety of packages and highly competitive prices, and you have yourself a truly great GMAT prep option. Much like The Princeton Review, Kaplan GMAT Prep is a historic name in test prep, and it brings all of its weapons to bear on the GMAT. Live Online, Self-Paced and Tutoring plans will run a bit more expensive than with other companies, but all of these plans come packed with great features like a customizable Quizbank, physical workbooks, and a live test-day simulation. For those of you who prefer a self-sufficient approach to test prep, Magoosh GMAT is just what you need. Coming in at #1 on my list of the top GMAT courses, Magoosh combines a whole host of user-friendly features into a package that feels equally at home on mobile devices and desktops. With over 1,200 practice questions, 3 practice exams, a 50-point score improvement guarantee, and a year’s worth of access and customer support, Magoosh knocks it out of the park. And don’t forget: all of these features are packed into the most affordable package on our list. For just $219 (with this coupon code) you can lock in your full year of access to Magoosh’s resources. Although it doesn’t offer the live resources that you’ll find with some other prep courses, Magoosh does come with private tutoring options. Either way, Magoosh is the ideal solution for independent students who want to blaze their own trail and stick to a budget. There’s a reason people often think of Princeton Review first when looking at exam review options, and it’s not just because review is in the name! For years Princeton Review has been among the leading names in test prep and their GMAT courses are no exception. Offering a full range of classes from self-paced online, to live online, in-person, and tutoring – the Princeton Review gives students the most affordable full range of options out there. Your online course materials will include 4,000 practice questions (strengthened by the program’s fully adaptive DrillSmart technology), 10 practice tests, multiple levels of guarantees that ensure your satisfaction and improvement, top of the line essay grading, and customer support by email or phone. The inclusion of TEN practice tests (by far the most on this list), the Princeton Review gives students a leg up when it comes to feeling comfortable and prepared for the GMAT. Despite not having some accessibility features like a mobile app or flashcards, the Princeton Review certainly gives the most bang for your buck of all of the comprehensive prep options. Much like its competitor above, Kaplan is another colossal name in the test prep world. The strength of its features and the comprehensive plans are enough to put Kaplan at number three on my list. Kaplan provides students with standard options such as self-paced classes, live online and in-person, and private tutoring, and they always take their product to the next level with some truly unique features. One thing that you’ll find nowhere else is Kaplan’s Official Test Day Experience, which allows students to attend a full day recreation of a GMAT administration. This can be a gamechanger for getting your ready for the test and alleviating those test-day jitters. But there’s plenty more: The GMAT Channel (an archive of 30+ hours of instructional videos), a fully adaptive Qbank (allowing you to create custom quizzes based on subject and difficulty), a higher score guarantee, and complimentary textbooks. Beginning at $799, you can get started with a Self-Paced plan that includes 6 months of access to their full list of features. Or upgrade to one of their live courses (beginning at $999) to add live instruction to all of these great features. Keep in mind Kaplan runs a bit more expensive than most other option on my list, but the price tag reflects the quality. For students who want every available tool at their fingertips and are willing to shell out a little extra cash, take a long look at Kaplan GMAT. One of the reasons that the GMAT is such a unique test is that it is an adaptive exam. This means that the GMAT reacts to your performance in real-time, getting easier or more difficult as you answer questions right or wrong, and rewarding you with more or fewer points, accordingly. This means that there are unique strategies for approaching the GMAT that you may not have needed on other types of tests (Hint: doing well on the early questions can dramatically affect your maximum score!). The Economist GMAT Tutor begins with an in-depth explanation of the GMAT’s adaptive nature, how to approach it, and continues to remind students how to think strategically throughout the course. 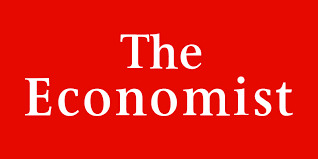 The Economist’s 5,000 (you read that right: 5,000) practice questions come equipped with personalized instructor responses. Even though you are using a software, you receive feedback after each question telling you whether you are right or wrong, and why. You can also ask questions of professional tutors, register for up to six 45-minute sessions with a live tutor, and submit essays for full review. Add all this to 6 practice tests and a 50-point score improvement guarantee, and you have a GMAT prep course that takes self-paced to the next level. With the Economist GMAT Tutor, you will find that you don’t need to sacrifice personalized instruction in order to study at your preferred pace. Maybe you’ve taken the GMAT once already and fell just short of your target score. Or maybe you’ve taken a few practice exams and find yourself in a similar situation. When it comes to their students’ average GMAT scores, the top schools are separated by as little as 15 points. Your score goes a long way to getting you into your dream MBA program, and chances are you have a score in mind from researching your school’s averages. ExamPAL’s 70-point improvement guarantee is the highest on this list, and that extra feeling of security makes a difference when you are trying to commit to a review plan. The reason ExamPAL is so confident is because of their unique PALgorithm. The PALgorithm teaches that each GMAT questions can be answered in one of three ways (Precise, Alternate, and Logical), and each student is more inclined to a different approach. The PALgorithm not only teaches you these strategies, but how to identify your preferred method and maximize your time and score. The ExamPAL self-paced course comes with an in-system credits system, which you will use to access practices questions and tests but can also be diverted towards extra perks like tutoring sessions, essay reviews, and professional assessments of your study plan and progress. See how the PALgorithm can help you with 6 months of access for just $440. Does anyone really like math? Sure, some are good at it, but how many really get a kick out of equations and variables? If you are one of the few who fits into both of these categories: please teach your secrets. For the rest of us, there is great news: Target Test Prep. With laser precision, Target Test Prep breaks the GMAT Quant section down into easily digestible lessons. Target only offers Self-Paced options, but these are full to the brim with practice questions, features, and study tips. For a beginning price of $299, you can have 4 months of access to 500+ individual lessons, 3,000+ practice problems, an extra 800+ HD GMAT video lessons (including step-by-step problem solving), and live support. Or, upgrade to 6 months of access for $399. While it may seem like Target’s practice questions and lessons put it in the middle of the pack compared to other options, keep in mind that all of these resources deal exclusively with the Quantitative section of the exam. Remember when Kaplan and The Economist’s 5,000 practice problems blew us away? Those 5,000 are spread across all sections of the exam. Target boasts 3,000+ practice problems that are all Quantitative, which means it provides far more practice in this section than any other course on this list. If Quant is your Kryptonite and you’re looking to dominate the GMAT like Superman, consider signing up for a $1 trial with Target Test Prep GMAT and see just how much it can work for you. If you are the type of student who has some serious time available to dedicate to your GMAT prep and you want to get ready and take the GMAT as soon as you can, then you should consider one of Manhattan Prep’s Boot Camp options. In just 2-3 weeks, you can complete a full GMAT prep course. These plans are among the most expensive on the list, with the basic Boot Camp beginning at $2699, but they provide the quickest path from preparing to applying. 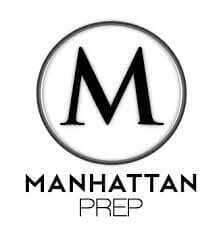 If you’re interested in more traditional review, however, Manhattan Prep has that as well. My recommended option is the Manhattan Prep GMAT Interact plan ($999), which includes: 6 practice tests, thousands of practice questions, an easy mobile app, essay grading software, and official GMAT strategy guides. What really distinguishes Manhattan Prep is the inclusion of packages that give students access to admissions guidance experts, who will help you strategize your test prep in a way that keeps your target school in sight. Through a partnership with mbaMission, Manhattan Prep makes sure that you the most from your GMAT score, giving you a leg up on the next steps in the application process. If MBA applications give you cold sweats, consider looking at one of Manhattan Prep’s GMAT Course + School packages and have professional assistance at every stage of your journey.